Well, I’m a sucker for the MA sound. Not sure quite what it is. Maybe it is something in the water, but that state produces some of the best punk rock and roll around. 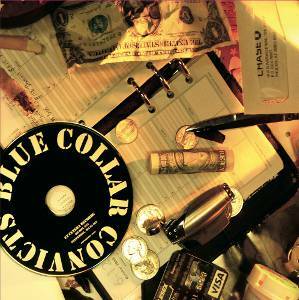 Anyways, “$2 and Change” from Blue Collar Convicts is no shame to the form and a pretty damn rad release. It is full of guts and emotion without being sappy. The tracks feel true and from the heart. Maybe it’s my lower middle class upbringing, maybe it’s not, but I’m picking up on the sentiment of these tracks. As well, I think I get the idea of being trapped in the lower middle class workaday drudgery of existence. On the comparison note, ‘cause I like to do that, think of an unusual hybrid of Social D, Op Ivy and Cadillac Tramps. It truly is a weird mashup, but it works. I think the big sell here is that Blue Collar Convicts ring true. The music is exactly what you’d want when you’re slamming a few brews in your neighbor’s garage, or on occasion, a Sunday morning when you’ve decided that Saturday wasn’t quite enough. Perhaps I’m rambling a little bit here, but I think this band has something, in a good way. I don’t see mega-stardom, but I won’t discount the idea that this band will be a go to when someone asks for some badass newish punk/rock(abilly)/anthemic rock and roll. At any rate, I gave it four out of five stars. I would have go higher, but well, I really wanted more tracks! Enjoy!